If you’re planning to change the flooring in your house or commercial premises, why not head down to Kemellies flooring showroom for some of the best timber flooring Bendigo has available? 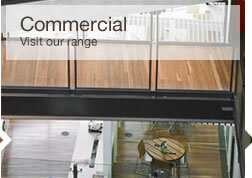 As Victoria’s residential and commercial timber flooring specialists, we’re the number one choice for timber floors in Bendigo, particularly as we stock the most comprehensive selections of timber floorboards in Bendigo, including Jarrah timber flooring, Spotted Gum timber flooring, bamboo and oak floorboards too. What’s more, our dedicated customer service team are always on hand to ensure that you get the kind of wood flooring Bendigo residents want. 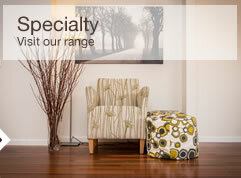 When it comes to wooden flooring, Bendigo flooring suppliers Kemellies know all there is to know. From the best quality timber flooring to fitting experts, if you want a timber floor that looks good and will last, you’ll find exactly what you need in our Bendigo timber flooring showroom. All our timber products are crafted from superior quality wood using the latest innovative techniques. So whether you’d like a bamboo floor or you’re planning a floating timber floor, Bendigo flooring experts Kemellies can help you to achieve the kind of flooring you want. Or if you’re a residential customer or a commercial customer, you’ll find the kind of solid timber flooring Bendigo clients expect from a flooring showroom of our calibre, particularly as we stock not just the best Jarrah timber flooring Bendigo has available, but probably the best Spotted Gum timber flooring Bendigo has on offer too. However, don’t simply take our word for it; visit our timber flooring showroom and see for yourself why we’ve gained a reputation for providing a fantastic choice of timber flooring at equally fantastic prices, and why we’re the number one company when it comes to fitting timber floors. Whether you’re choosing wooden flooring for your business premises or your home, a team of dedicated craftsmen who have the experience and expertise to make your new floor look superb will fit your floors. In addition, as all our Bendigo timber floors are made with superior quality wood to exact specifications, you can be sure that your floor will not only look good, but it will stand the test of time too. After all, isn’t that what you’d expect from top quality wooden flooring? Our showroom is open from Monday to Friday, 9:00am to 5:00pm although we do open on Saturdays by special appointment. If you’d prefer to speak to one of our customer service team before you visit our showroom, simply get in touch by calling (03) 5222 8425. Our staff will be happy to answer any of your questions or make an appointment for you to see an advisor. Wooden floors have been a popular choice of flooring for centuries. Whether you choose to install engineered or solid timber flooring Bendigo homeowners will find that it not only adds a timeless appeal to your property, but that it’s easy to keep looking good too. Timber flooring works well in living rooms, bedrooms, hallways, sunrooms and can also be used to good effect in kitchens. And, depending on your choice of wooden flooring, Bendigo homeowners will be able to create a natural, warm and organic look in both older and contemporary properties. However, the best timber flooring for your Bendigo property is all down to personal preference, the look you want to achieve and, of course your budget. 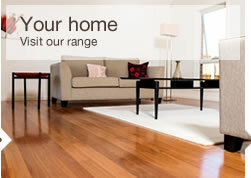 Choosing your wooden flooring is much easier when you have a choice of quality flooring to choose from. 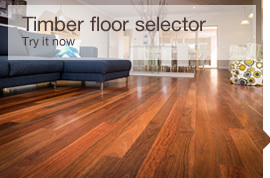 Luckily, at Kemellies, we have one of the best selections of timber floors Bendigo has available. Perhaps you’ve always wanted to install a spotted gum engineered timber floor in your living room? This beautiful flooring offers a great finish and, with its scratch resistant coating will staying looking good for years, especially as it can be re-sanded and polished to make it look like new again. It’s one of our most popular types of wooden flooring Bendigo-wide, so if you want the best spotted gum timber flooring Bendigo has available, pay a visit to your local Bendigo timber floor stockists and order it now. Or maybe you prefer the dark, rich red looks of Jarrah flooring? It’s becoming an increasingly popular choice for anyone who’s looking for a hardwood flooring solution f that’s a little different to the norm. As a native Australian hardwood, it’s the wood flooring Bendigo homeowners choose when they want to add richness to their floors, and as Kemellies are the leading stockists of Jarrah timber flooring Bendigo has available, naturally they buy it from us. One way to ensure that you get the perfect type of wood flooring for each room, is to decide whether you want a light wood floor or a dark timber floor. Light coloured wooden flooring will give the illusion of space and make your room feel much larger, while darker floors will do the opposite and create a much more dramatic effect. Before you make the final decision on your new floating timber floor, Bendigo locals should pay a visit to the Bendigo timber flooring specialists, Kemellies where you can see a wide selection of different wooden floors in situ to help you to make your choice.